We’re No. 1. Guess what Illinois school districts spend more on than any other state in the union? ■ Programming geeks now have access to a Chicago first: Anonymized data from ride-hailing apps like Lyft and Uber. Trump, firefighter. 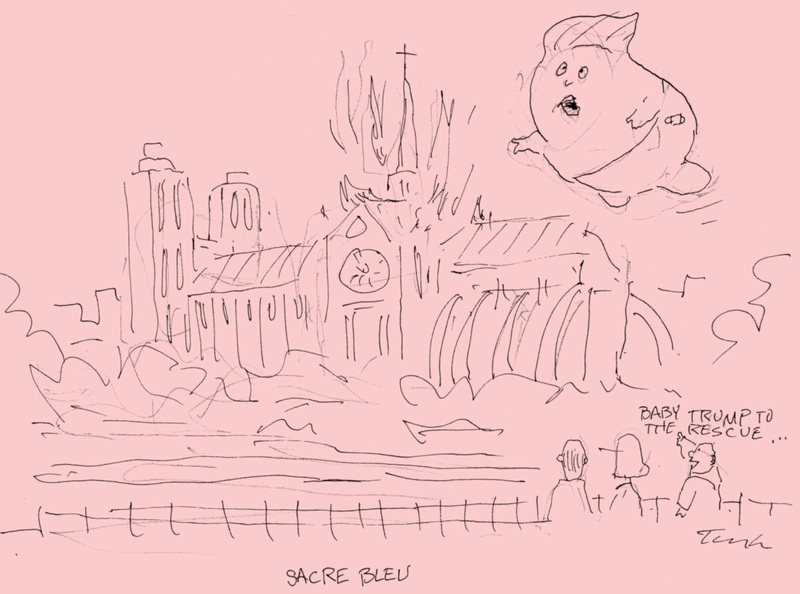 Late-night comedians were on fire last night ridiculing President Trump’s tweeted hunch (“perhaps flying water tankers”) for dousing the flames at Paris’ Notre Dame cathedral. ■ Photos from inside the cathedral reveal extensive damage—but candles still burning. ■ A BBC history of Notre Dame. ■ Political consultant Don Rose—one of the minds behind Lori Lightfoot’s mayoral victory—files a Chicagoan’s tribute to Notre Dame. ■ A white man has been charged with arson as a hate crime in the burnings of three black churches in Louisiana. ■ Families’ lawsuit accuses a Washington, D.C., synagogue of enabling a teacher’s repeated sexual abuse of children over the last two years. Bernie Sanders on Fox News. The lion of the Democratic left spent an hour on conservatives’ favorite news channel last night, and Politico says “he not only survived …but often dominated” the first “town hall” appearance on Fox by a 2020 Democratic presidential candidate. ■ The Atlantic: Sanders’ risk paid off. ■ On MSNBC last night, host Rachel Maddow quizzed candidate Pete Buttigieg about how and why he took so long to come out as gay. ■ NBC: Six things the 2020 presidential candidates’ new fundraising reports reveal. ■ The Wall Street Journal: Beto O’Rourke underpaid two years of taxes. A ‘master class in destroying the government from within.’ The New York Times dissects how Trump’s chief of staff, Mick Mulvaney, dismantled the Consumer Financial Protection Bureau on his way to the White House. ■ The president seems increasingly agitated as release of the redacted special counsel report nears Thursday. ■ … and, the ACLU suggests, Illinois could be more welcoming by ending the practice of suspending driver’s licenses for unpaid parking tickets. 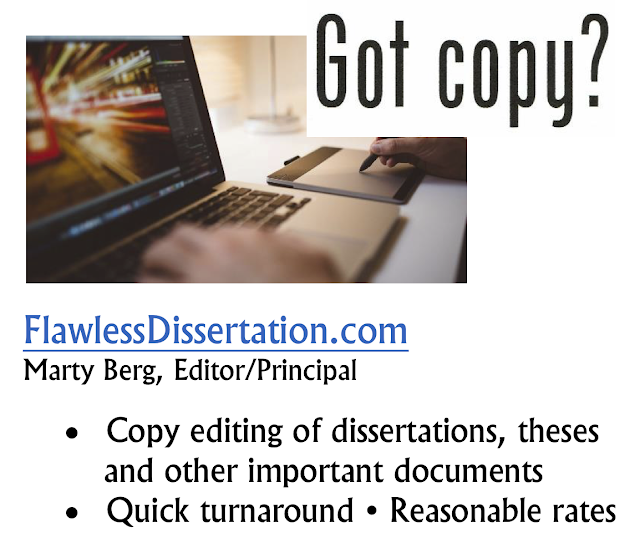 Flawless Dissertation is a Chicago Public Square advertiser. How R. Kelly avoided (most of) the news spotlight for years. Bob Chiarito talks to the key players at the Trib and Sun-Times about why the Sun-Times’ reporting on the scandal failed to catch fire with other Chicago news organizations almost two decades ago. ■ Kelly may lose his home at—wait for it—Trump Tower Chicago. ■ … and please stop pronouncing it PYOOL-it-zer. Sesame Street’s coming. The nonprofit organization behind the show is planning a free summer festival in Chicago as part of a nationwide celebration of the show’s 50th anniversary. ■ From 22 years ago: 17 minutes with Sesame Street’s late co-creator and Rubber Ducky Duckie writer Jeff Moss. Time’s running out … if you’d like to join fellow Chicago Public Square fans at the Chicago Headline Club’s Peter Lisagor Awards for Exemplary Journalism dinner May 10, when Square will be a finalist in two categories. Just a few seats are available and the signup deadline’s Friday. Details here. ■ Or, if you’re the type who prefers to wear jeans to dinner, you can just kick in a few cents a day to help keep Square growing.